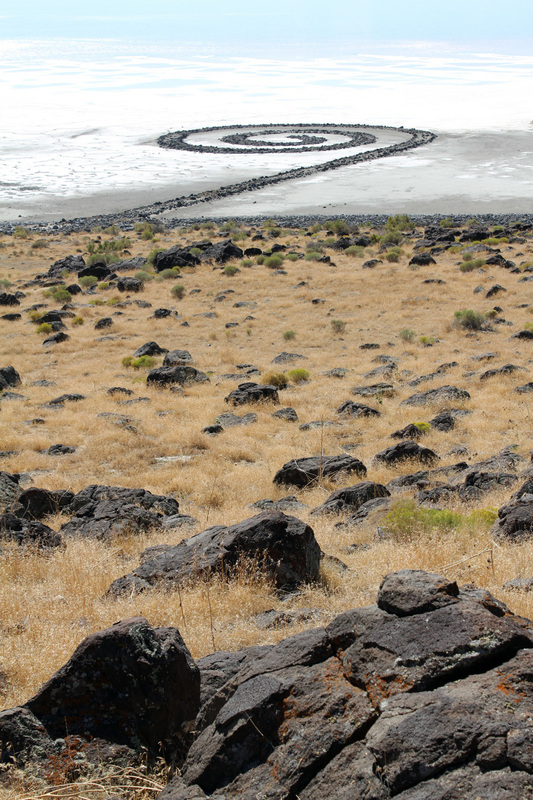 The idea of absence as indicator of something greater strikes me as potent, particularly as I update the events of 2008 in the book on Robert Smithson’s Spiral Jetty I’m writing. 2008 should have been a banner year for the Bush Administration as they worked feverishly to establish oil and gas drilling across the Western United States. We all – either as a rally cry adopted, or as a phrase to deride – remember the oft-quoted phrase, “Drill, baby, drill.” This phrase was born on August 28, 2008, by former Lieutenant Governor of Maryland, Michael Steele during the Republication National Convention. The crowd went wild. In other places that August, a different crowd rejoiced as we received news of drilling that would not take place: August 2008 was the month Pearl Montana Exploration, a Canadian company with international reach, was denied a lease to drill for oil in Great Salt Lake. Pearl Montana’s application was submitted in late 2007, but, as news of the permit became public (see 15 Bytes’ coverage here), over 3,500 international correspondences were sent to state employees to halt drilling. Individuals and organizations went on record to protest drilling due to the location of Pearl Montana’s leases off the coast of Gunnison Island. This tiny island (155 acres) is a rookery for up to 20,000 breeding American White Pelicans (along with other birds) and is a key migratory stop linking Great Salt Lake’s ecology to North and South America. 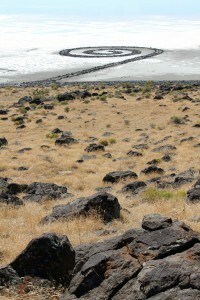 Gunnison Island is also five miles southwest of Robert Smithson’s earthwork, the Spiral Jetty (1970). The outcry to keep intact the lake’s ecology and Utah’s most internationally famous work of art made an impact – who knows what would have happened had Pearl Montana set up a drilling platform in the lake, and a spill occurred. Historically, oil extracted from the northern region of Great Salt Lake has been too heavy and sulfurous for much use except as asphalt. I’m not sure asphalt is the product the folks who were chanting “drill, baby, drill” really wanted. Keith Hill, president of Pearl Montana Exploration, claimed after being denied their drilling permit in 2008 they would get their next permit in order and resubmit. That was almost three years ago. Today, the company is called BlackPearl Resources Inc., and, unlike the international reach they had under their former name, drill exclusively in Western Canada. Coincidently, today we are in the midst of Tim DeChristopher’s trial, who on December 19, 2008 turned from unknown University of Utah student into “Bidder 70” as he wracked up almost $1.8 million he never intended to pay (for 14 parcels of land) during a federal oil and gas lease auction in SLC’s Bureau of Land Management offices. 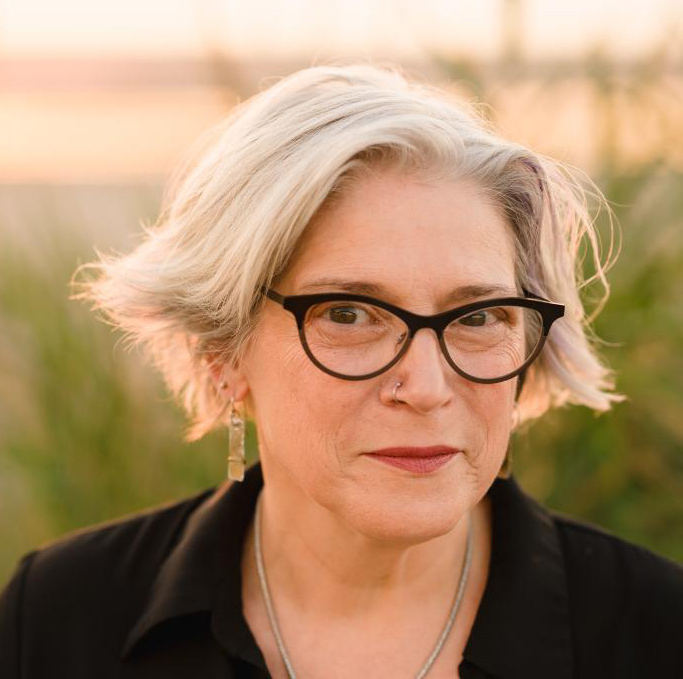 In 2008, DeChristopher saw our planet’s ability to sustain future generations vanishing, and through that act, told us clearly who he is…the opposite of someone with the phrase “drill, baby, drill” on their mind. Hikmet Sidney Loe is the author of the forthcoming title: The Spiral Jetty and Rozel Point: Rotating Through Time and Place (2012, Utah State University Press). The Utah Museum of Fine Arts’ exhibition The Smithson Effect, which explores Robert Smithson’s influence on contemporary art, opens on Thursday, March 10 and goes through July 3. You can read an editorial on the DeChristopher trial in today’s edition of the Salt Lake Tribune.